It was gorgeous. One of, if not the best, goals I have ever seen scored in a World Cup finals opener. I was ecstatic, 1-0 to Germany. It was a fine game, 4-2 to Germany. 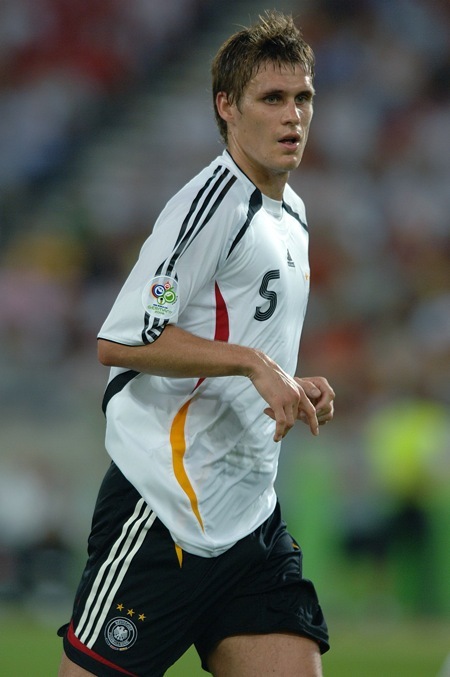 The Germany shirt for the 2006 World Cup, to me, is one of my all time favorites. White with the three black adidas stripes going down the arm. The black, red and yellow flashes down the sides of the body and continued on to he shorts were standout. I can’t even find the words to describe it. It was beautiful, simple, das ausgezeichneteste. I especially loved it when images of Miroslav Klose wearing it flashed. Germany wore it all through the tournament (why shouldn’t they with beauty like that). All in all, it is my all-time favorite kit. 5 years and two other kits on, I still have it in pristine condition. 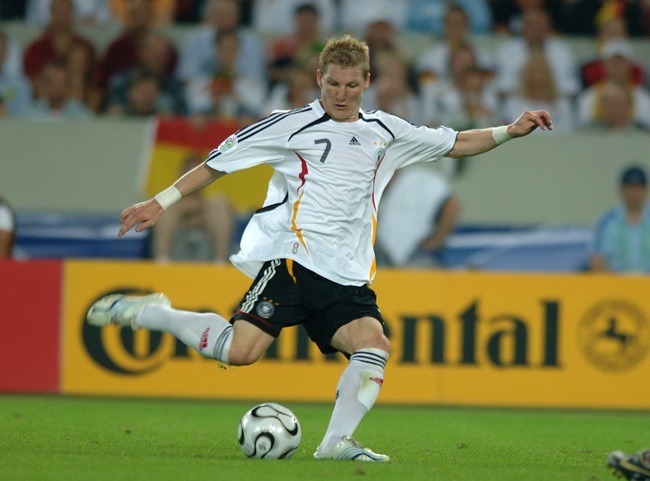 It was in this shirt that the German lads, Ballack, Lahm, Schweinsteiger, Friedrich, Podolski, Lehmann, Metzelder, Frings, Schneider, Mertesacker and last but not least Klose, showed me the beauty of football. Not the Brazils or the Argentinas or Italy, but Germany. Thanks to Germany, I have a style of play that is totally different than other boys at the park so, Danke Schen Deutschland. Germany’s kits have always been fantastic looking. The Germany kit in the Italia World Cup in 1990 was awesome. This one was meh though. wc90 kit is a classic. true. agree with rich, this is no where near as good as the current kit. Grand article! Enjoyed it most heartfeltly, Mr. Hakeem, Dank dafür! i also from johor bahru malaysia.nice to read this article.hope we can meet if u coming again to show football passion in malaysia. I loved that opening game, Germany- Costa Rica. I fell in love with German football then too. A really open exciting game. Interesting seeing the players who are still in the team develop, Schweinsteiger for example. Would have been good if Germany had won it that year! i was very very glad not to see the german team lift the world cup. living in germany, everybody around was just SO annoying. whats all the VATALAND-quatsch anyway? club football > internationals always for me. I am writing a massive online resource on the Nationalmannschaft, and one section is devoted to the Trikots from 1988 onwards. My favourite has to be the 2002 kit – smart in its simplicity. 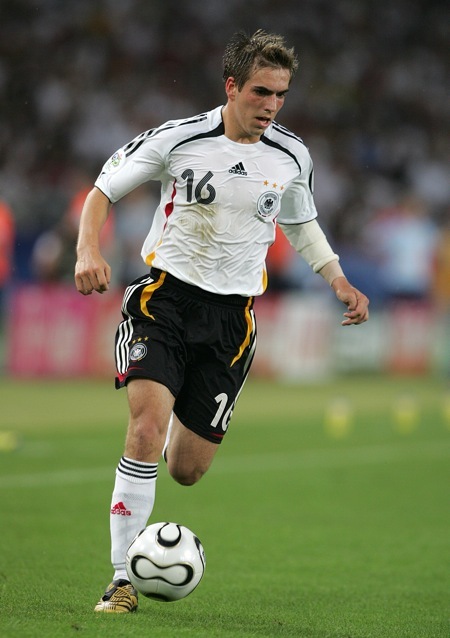 OK, the 2006 one was pretty nice and the 2010 edition is also top-notch… The DFB have always had a decent shirt designer. The one poor effort was the 1998-2000 one – though it did fit the quality of the team at that time. The second shirt looked like one that belonged to the team from the local Kneipe. A very nice kit. The 1990 one is the best though.